Here is Highster Mobile Review. Choose your ideal tracker! Posted on March 20, 2015 by Tom Richardson Posted in Cell phone & Computer Monitoring Reviews . Highster Mobile is on position #5 in our rating due to the number of features which it offers and easiness in its buying and installation. This spying software is available only in English and has all the necessary functions for tracking and monitoring. Well, quite usual functions for the price, which Highster Mobile asks. But as any other spyware in our rating, this app has features which are its “ace in the hole”. Let highlight them. With the help of Highster Mobile Spying Software a person can activate the camera on the target device and take pictures of the surroundings. Later all the photos can be easily downloaded from the person’s online Highster Mobile account. And one more feature, which is rather useful is a possibility to Remotely uninstall the app anytime you wish. In case you have any questions or problems with your monitoring app, you may contact support team, which speaks only English from Monday to Friday 9am – 5pm EST. Furthermore, Highster Mobile spyware has ticket system. It means that you can easily submit your question in a written form. 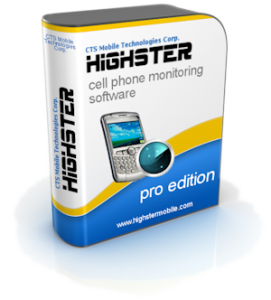 Highster Mobile Monitoring Software does not have any contracts or subscriptions, you buy an app once for $ 69.99 and monitor the target device as long as you wish. If you need additionally a customer support service, which will help you with installation, it will cost you around $30. Highster Mobile Spyware is compatible with all IOS and Android devices. You can ask for a refund within 10 days of purchase.